Get the most efficient civil engineering tool. Quickly visualize terrain from different angles and export your survey to DTM. Import large LiDAR Point Clouds data and easily analyze them. Integrate your .xml and .dwg files into your favorite CAD and share them. 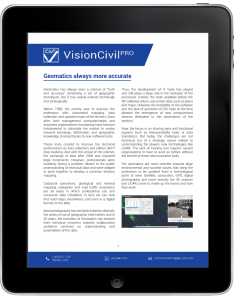 Looking for a great civil engineering software? Use an external database to facilitate data sharing. Edit surfaces by adding breaklines and holes, work with 2D and 3D profile alignments, as well as handling LiDAR Point Clouds. Offers four methods for calculating volumes: by comparing surfaces, comparing planes, cross sections and solids. Generates surfaces by simplifying the Point Cloud and keeping only the important points that will reflect the surface behaviours. Helps create, edit, and triangulate surfaces by allowing to select points and breaklines. Personalize profiles and cross sections and easily generate graphics for surfaces within the CAD including all desired information.